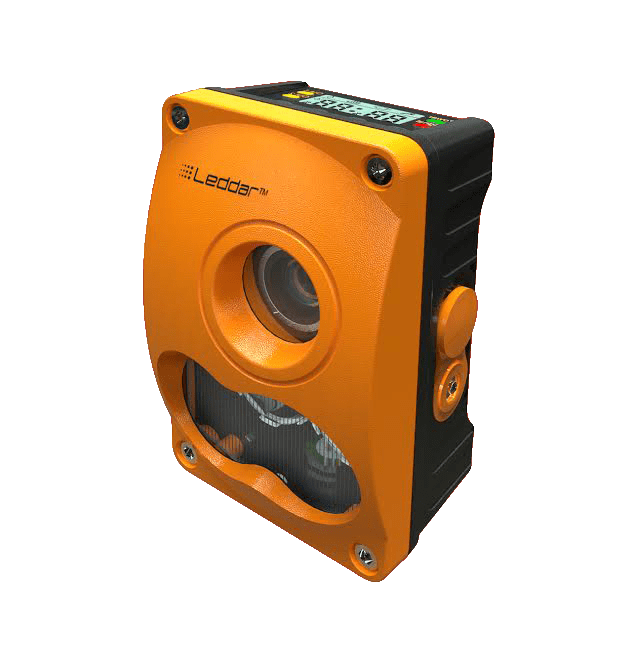 The ruggedized Leddar IS16 is specifically designed for deployments in harsh indoor and outdoor industrial environments. This module is frequently used on industrial and construction vehicles to detect obstacles or pedestrians, and as a temporary or permanent roadside traffic-data collection device. 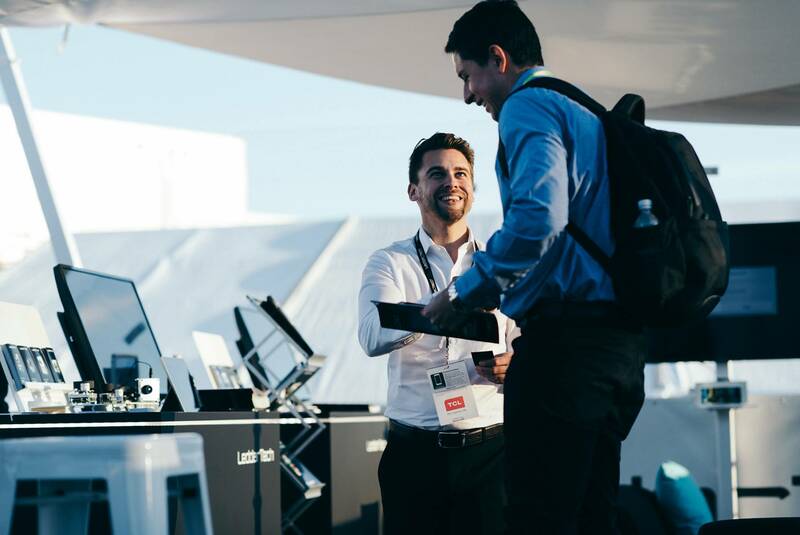 The IS16 software includes Presence Detection Mode PNP/NPN, which enables outputs to be set based on the presence of objects within configured detection zones (two zones; one per output). 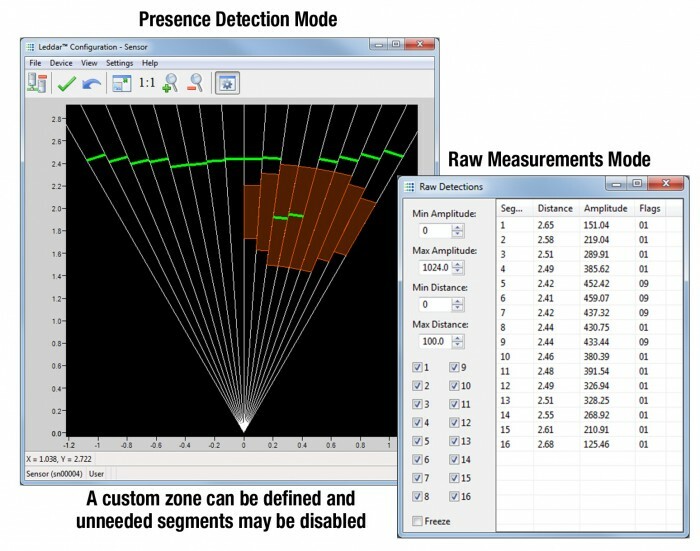 Thanks to the Teach Configuration feature, it is possible to define the perimeter of the sensor’s surroundings as a detection zone. In Quick Mode, a near limit and far limit can be easily configured to quickly define zones. Alternatively, zones can also be configured manually in Advanced Mode, with the option to set near and far limits for each segment or to deactivate unwanted segments. 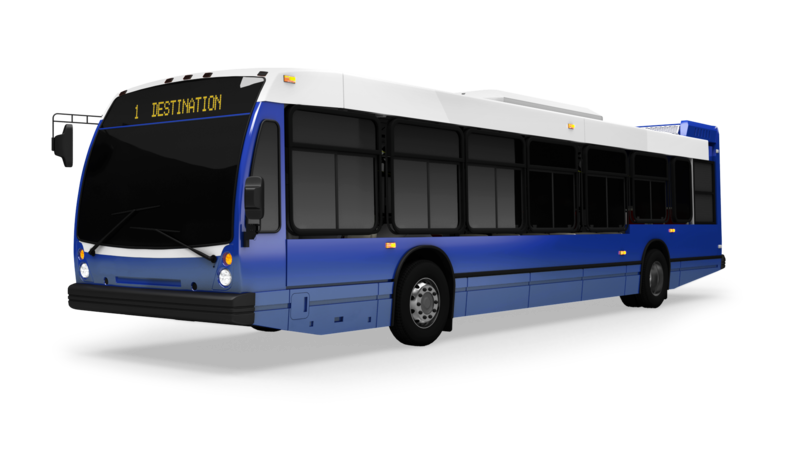 The IS16 provides the capability to acquire and log all measurements from all segments in real time through the RS-485 link. Each measurement generates a calculation for the distance of the detected object, the index of the segment it was detected in, and the intensity of the measurement (an indication of how much light was reflected off the object and captured by the sensor). 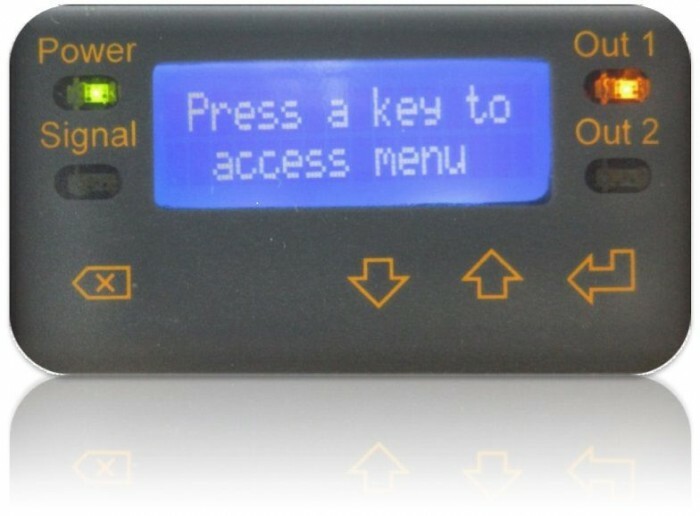 The Leddar IS16 sensor is offered with an optional LCD display equipped with four buttons that can be used to configure or reconfigure the sensor, or monitor ongoing operations. View the complete specifications for all IS16 configurations. 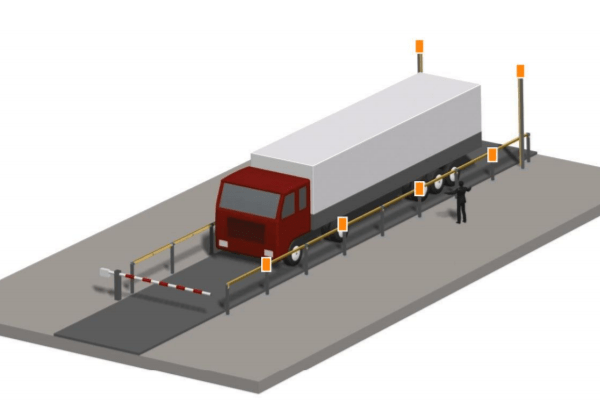 Discover how Leddar optical detection and ranging technology can be used as part of a robust, all-weather collision prevention system on large industrial vehicles. 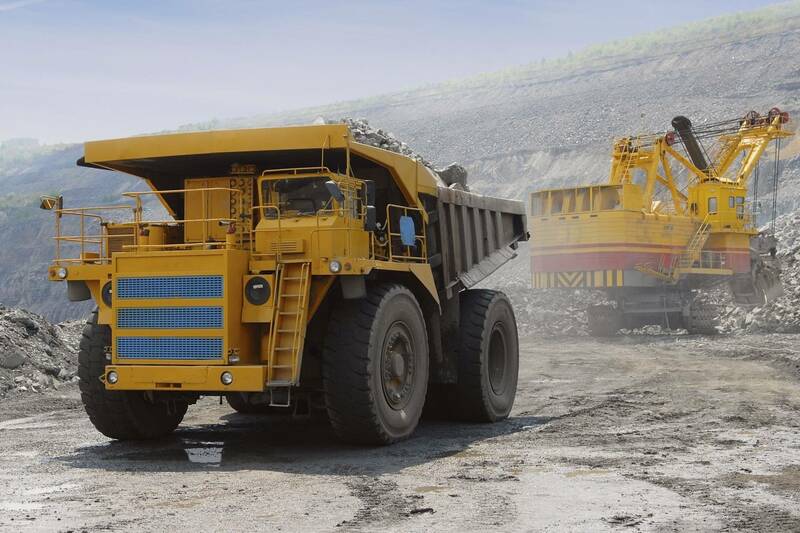 Learn about how IMC Engineering uses IS16 sensors to build better profiling systems with improved sensing capabilities, simpler installation and reduced maintenance. Need additional information about the IS16 solution?